https://www.voiceamerica.com/show/2193/breaking-banks-fintech 25/04/2019 12:00 25/04/2019 01:00 Breaking Banks Fintech https://www.voiceamerica.com/show/2193/breaking-banks-fintech The possibilities that digital currency create with payments, ledgers, contracts, and the transparency to rebuild trust are momentous. 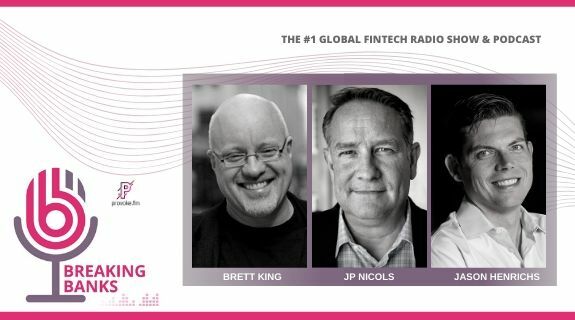 On the show today, Brett is hosting people who dare to re-imagine how banks and payments interact, who the middle man should really be, or if a middle man is needed at all. First we have Ben Milne is the CEO/Founder of Dwolla, a revolutionary company that creates real time payments and imagines a world without credit cards (or their interest or fees). Then Vitalik Buterin of Etherium and Simon Taylor of Barclays join to talk about the Etherium Project. Dave Birch also drops into the studio!